Remember the days of wearing braces when you were younger? If you wore braces as a teen, you probably remember the shiny metal smile, colored elastic O-rings, and constant visits for adjustments. The best day of your treatment was likely the day your braces finally came off, leaving you with beautifully straight teeth and a dazzling smile. The day your braces came off, your orthodontist provided you with a removable retainer, and informed you that you should wear the retainer every night to help keep your teeth in place. At first, you may have followed those instructions diligently. However, one day you may have suddenly realized that you could not remember the last time you wore your retainer. Instead of finding it or getting a new one, you may have just decided you no longer needed it. Now, you look in the mirror and see that your teeth have once again shifted out of alignment, and your smile has diminished. At Woodyard Dental Care, PSC in Paducah, we can correct your smile again with ClearCorrect—even if you are now an adult! What Causes Orthodontic Relapse In Adults? The retainer is designed to be worn nightly, helping to maintain the appearance of your new smile after your braces have come off. Orthodontic relapse is a condition in which a person's teeth have begun shifting again in adulthood. When you quit wearing your retainer, or you are not wearing the retainer as directed, you greatly increase your risk for orthodontic relapse. Other causes include teeth grinding, tooth loss, genetics, and simply getting older. If you want to restore your smile a second time, treatment is necessary. What Can I Do About Orthodontic Relapse? Treatment with ClearCorrect involves the use of several different aligners, each slightly different than the last. They are meant to be changed every few weeks, gradually moving your teeth back into their proper alignment. 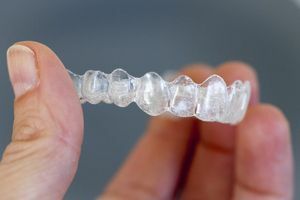 Unlike braces, the aligners are removable, but should still be worn for at least 22 hours a day to achieve the best results in the shortest amount of time. Depending on the severity of your case, treatment may take a few months or up to a few years. 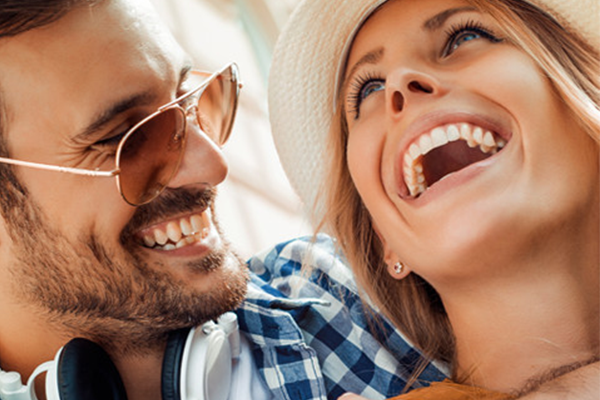 ClearCorrect is a more modern orthodontic treatment that provides an alternative to traditional metal braces for those who have experienced an orthodontic relapse. Instead of metal brackets and wires, ClearCorrect is a series of clear plastic aligners, which are custom made for your mouth. Additionally, we use the Trios 3Shape scanner, which allows us to provide you more accurately fitting aligners. The aligners are clear, and therefore disappear when placed on your teeth. No one will be able to tell that you are wearing them. The aligners are more comfortable than traditional metal braces. There are no restrictions on what you can eat. The aligners are removed when you eat so that you can enjoy all of your favorite foods. Oral care is easier. You do not have to worry about trying to brush around brackets and wires. You require less orthodontic visits overall. We provide you with several aligners all at once, meaning that you do not have to come back every time you need your next set. You will still have periodic follow-ups to ensure your teeth are progressing, but they will not be as frequent as with traditional braces. If your teeth have shifted out of alignment after already completing a round of orthodontic treatment in your younger years, the issue can be corrected. Better yet, it can be done without the need for traditional metal braces. Call Woodyard Dental Care, PSC today at (270) 213-6620 for more information. We are looking forward to seeing you are at Paducah, KY dental practice.